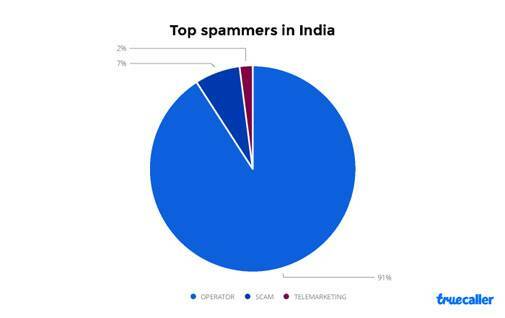 India is the second most spam plagued country in the world in 2018, according to a report by Truecaller, a Sweden based phone-number identification app. India's average Truecaller user received 22.3 spam calls per month in 2018 down from 22.6 last year. Brazil has taken over India in 2018 with 37.5 spam calls per month up from 20.7 calls, an 81 percent increase in spam calls in a year. Chile, South Africa and Mexico are the three other countries among the list of top five countries affected by spam calls this year. More than six percent of overall calls received by Indian users in 2018 were spam calls. However, there has been a slight decrease of 1.5 percent in the number of spam call per month in the market. 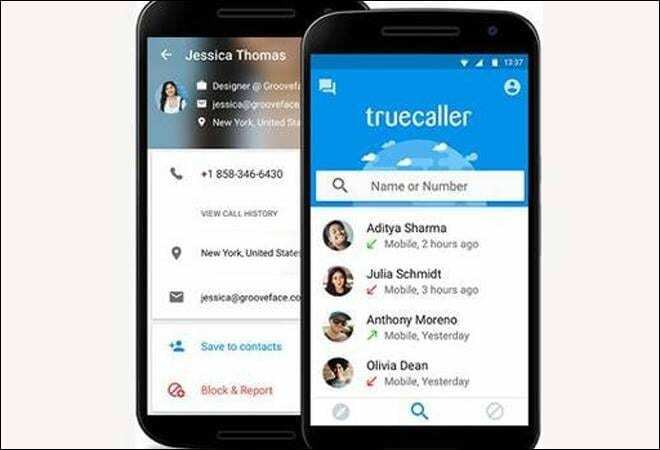 Looking into the breakdown of spam call categorization in India, there has been a substantial increase of spam calls (91 percent) coming from operators/telecom service providers upselling various offers and balance reminders., Truecaller said in a statement. Meanwhile, scam calls in India more than doubled compared to last year - from 3 percent to 7 percent. 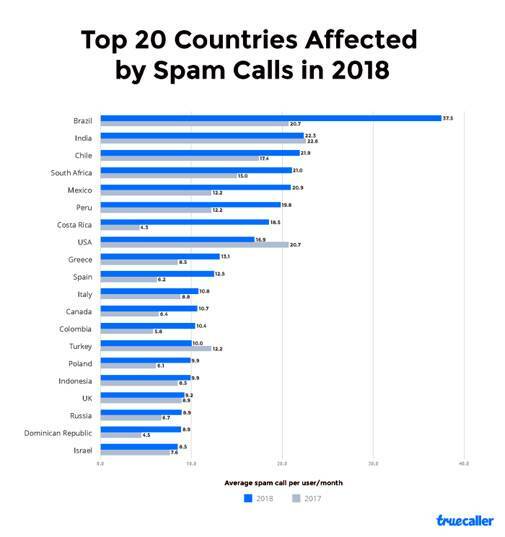 On the otherside of the globle, United States has dropped from being the second most affected country by spam calls to the eighth in 2018. Despite the decrease of spam calls, the US is still heavily affected by phone scams. Truecaller said that 1 in every 10 American adults have lost money from a phone scam in the past one year. Spain, Canada, Costa Rica, Poland, Dominican Republic, and Israel are the new entrants into the list of most spam affected countries.